Now that I’m 21, I love to experiment and try new drinks! 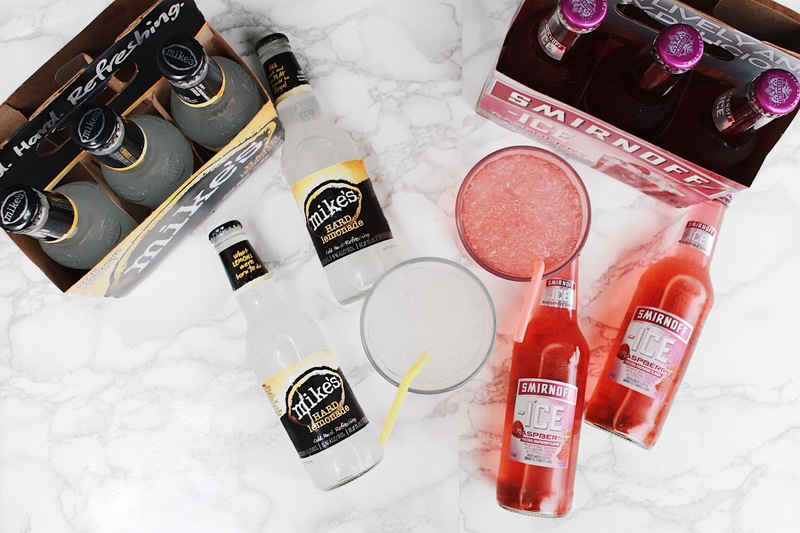 Summer cocktails are 100% my favorite because they’re usually fruity and sweet (which can be super dangerous lol). 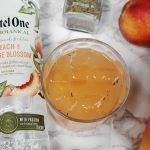 I wanted to share 2 of my favorite summer cocktails with you because I think they are perfect for summer and so delicious! 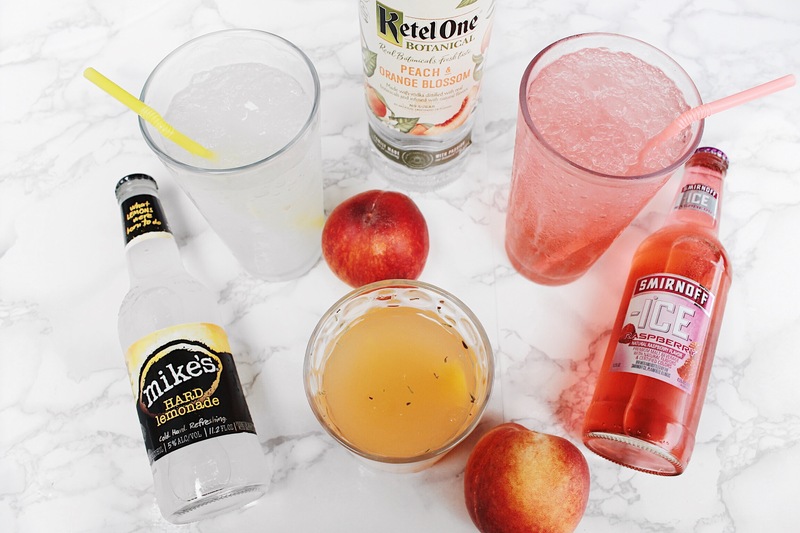 These 2 drinks are total opposites and that’s what makes them even better! I hope you all enjoy this post, happy summer! 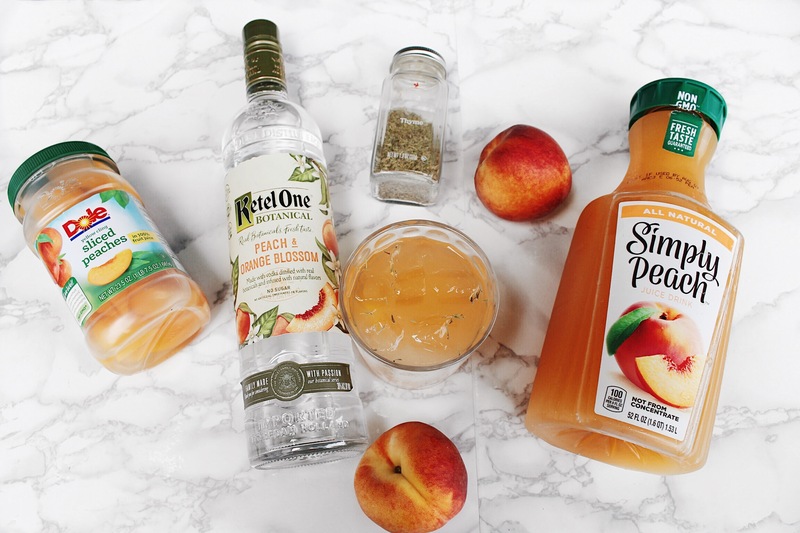 In your 8oz glass put some ice and as many sliced peaches as you like. Then measure out your vodka and juice and pour into the shaker with a few ice cubes. 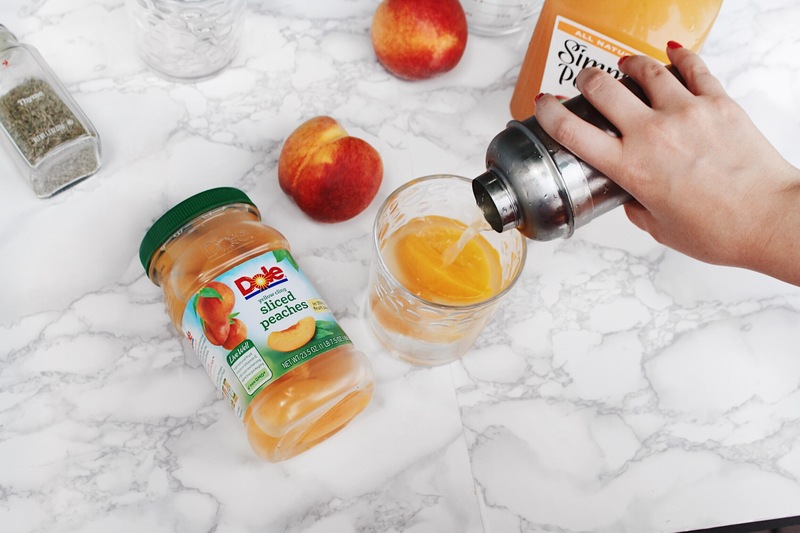 Shake it up and then pour into glass over sliced peaches. Sprinkle on the thyme and enjoy! 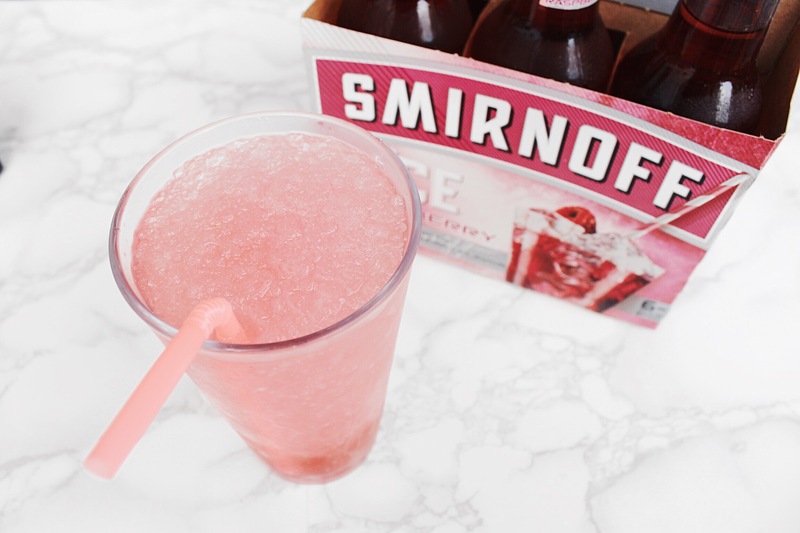 Place your ice and 1 full bottle of raspberry smirnoff into the blender and blend on "Crushed Iced" setting until that slushy consistency occurs. 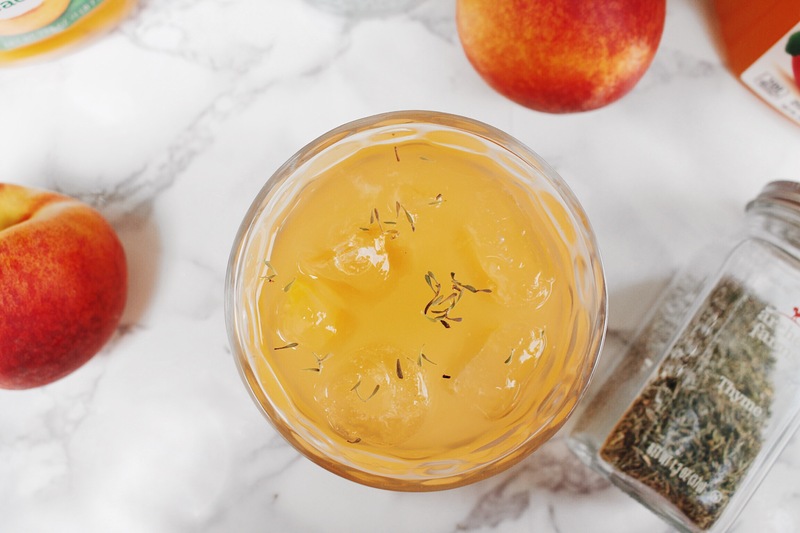 Pour into glass with a straw and enjoy! 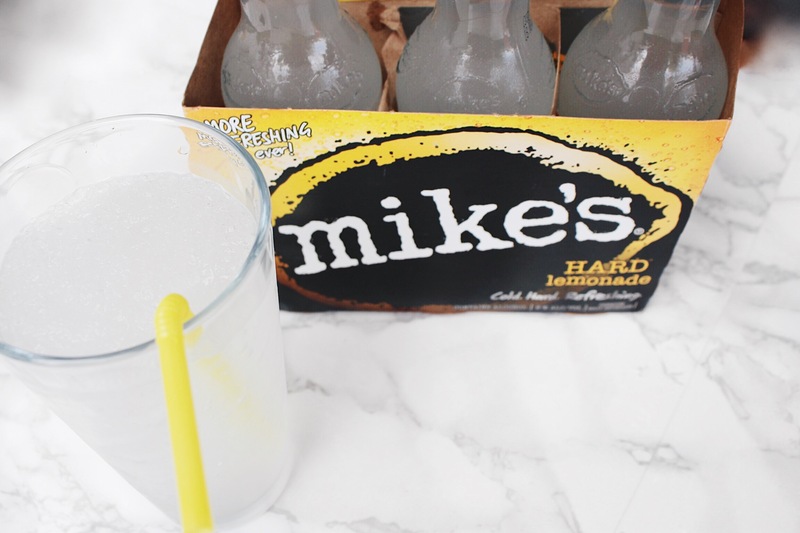 Place your ice and 1 full bottle of Mikes Hard Lemonade into the blender and blend on "Crushed Iced" setting until that slushy consistency occurs. You may need to add more crushed ice. Do this after you have made the drink.